If you are looking for something to do this weekend then why not go to the Cinemas to watch a movie, but don't just go to any Cinema head on over to Pacific Fair Shopping Centre and check out the New Pacific Fair Event Cinemas. 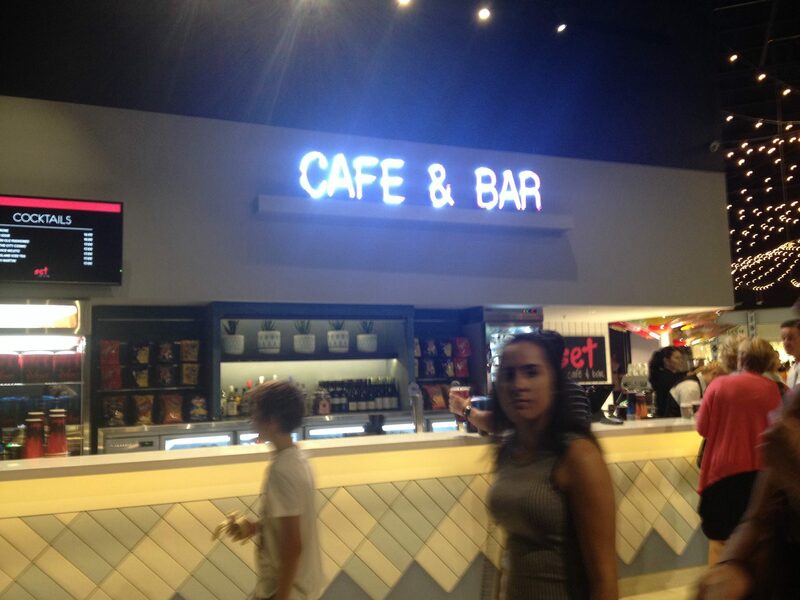 Located on level 1 in the new South West mall in Pacific Fair is the brand new Event Cinemas. The new Cinemas boast 3 new Gold Class Cinemas and 1 new Vmax as well as the renovated Traditional Cinemas. The decor is just amazingly stunning, the entrance is nice and wide letting you see everything by just walking past. You can't miss the stream of lights along the roof and the Scoop Alley right there in the middle of the room. If you have a sweet tooth and love your lollies then there are lots to choose from underneath the lolly trees. Why not try out their new creation, caramel popcorn, or you can have one of the all time favorites like the Choc Top. This brand new cinema also has a cafe and bar that serves cocktails for those who like to try something different, as well as coffee for those caffeine hits. If you haven't had the Gold Class experience yet then what are you waiting for? With a limited number of seats in each cinema this gives you an intimate feel that takes going to the movies to a whole new level, along with full reclining seats and an "Attendant Button" (which lets you order food anytime). Now it just wouldn't be the whole experience if you didn't order a meal to have while watching your movie. At an extra cost this food is brought to you whenever you wish to have it delivered. And it isn't just your normal popcorn and frozen coke. Oh, no, this food is restaurant quality (think bruschetta, sliders and gourmet pizza). There is a full-page dessert menu including dessert tasting platter which allows you to try everything on the menu without feeling like you have had to much to eat by the end. To go along with your meal there is a cocktail and beverage menu so you can have fun trying picking just one. The whole experience makes you feel like a movie star yourself, from the very beginning walking into the Gold Class doors right through to your meal and movie. 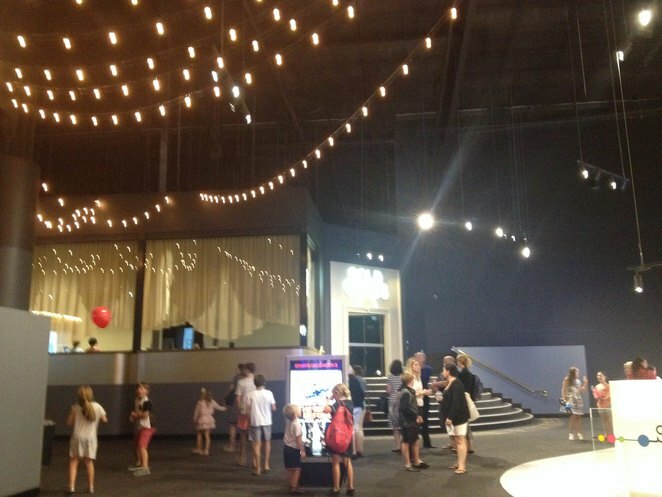 I had the opportunity to check out the new Vmax Cinema on opening night, and I was very happy with what I saw. It has that new carpet smell, with amphitheater style seating. Everything is spacious. It has brand new leather seats and with the huge Vmax screen you can sit anywhere in the room and get a good view of the movie. It has the latest Dolby Atmos audio technology which means there are speakers above you, not just along the sides. Make sure you check out Vmax while watching an ultimate blockbuster to get the best sound experience and to feel like you yourself are in the movie. Prices vary. A traditional ticket costs $19.50 for adults & $14.50 for children, while Vmax is $23.50 for an adult ticket or $18.50 for a child. Gold Class tickets are $41.00 on weekends (and nights) and just $26 for day time weekday tickets. Gold Class food prices also vary. 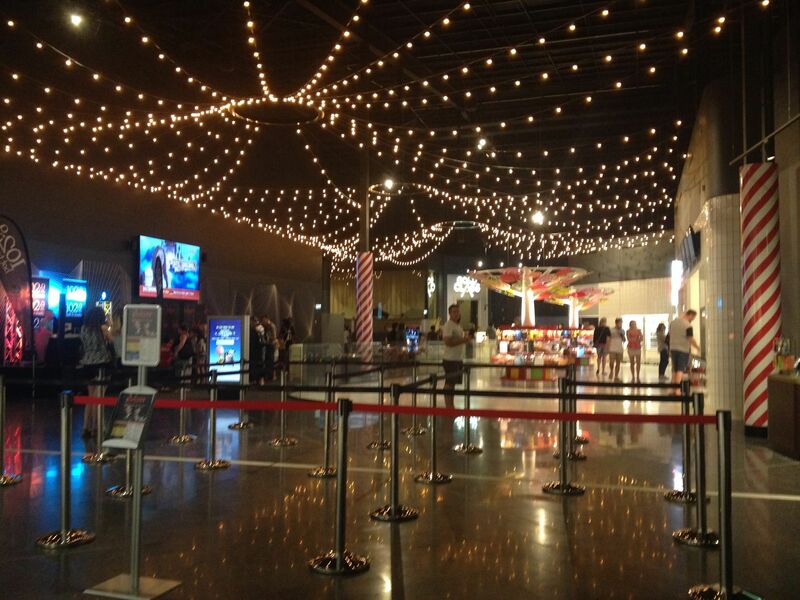 The Cinemas are now back in Pacific Fair and with something here to suit everyone why not go and check it out this weekend?